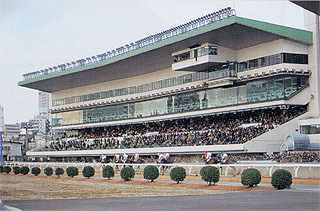 This racecourse is popular for "Super King Night Race," which it began in 1995. 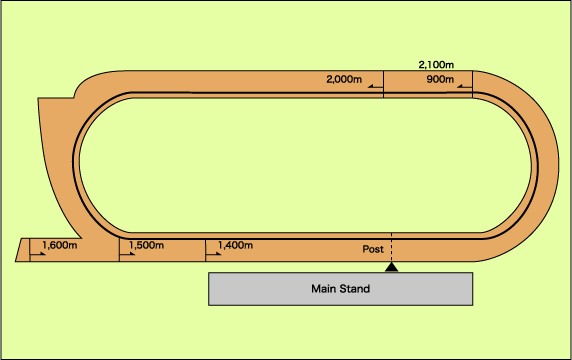 Races can be enjoyed comfortably from the stands, on the side where the paddock and incidental facilities are compactly built, and the grassy seating area inside the track. There is also a gallery commemorating former jockey Takemi Sasaki, who had a record of 7151 wins. 15 minutes from JR Kawasaki Station. 12 minutes from Keihin Electric Express Railway Kawasaki Station. 1 minutes from Keihin Electric Express Railway Daishi Line Minato-machi Station. On days when races are held, a free shuttle bus runs between the Kawasaki Racecourse and the No. 13 Bus Stop of the East Exit of JR Kawasaki Station.